Davis, Justin M., head-of-household, age 29, born in Iowa; parents born in Indiana; rented home; occupation: farmer, general farm. Davis, Daisy, wife, age 29, born in Iowa; parents born in Indiana. Davis, Virgil J., son, age 4 years 11 months, born in Iowa; parents born in Iowa. Davis, Kenneth W., son, age 1 year 6 months, born in Iowa; parents born in Iowa. Davis, Justin M, husband, age 34, born in Iowa; father: Davis, Daniel (age 60, birthplace unknown); mother: Benbow, Laura (age 60, born in Indiana); parents married in Iowa; church: Friends. 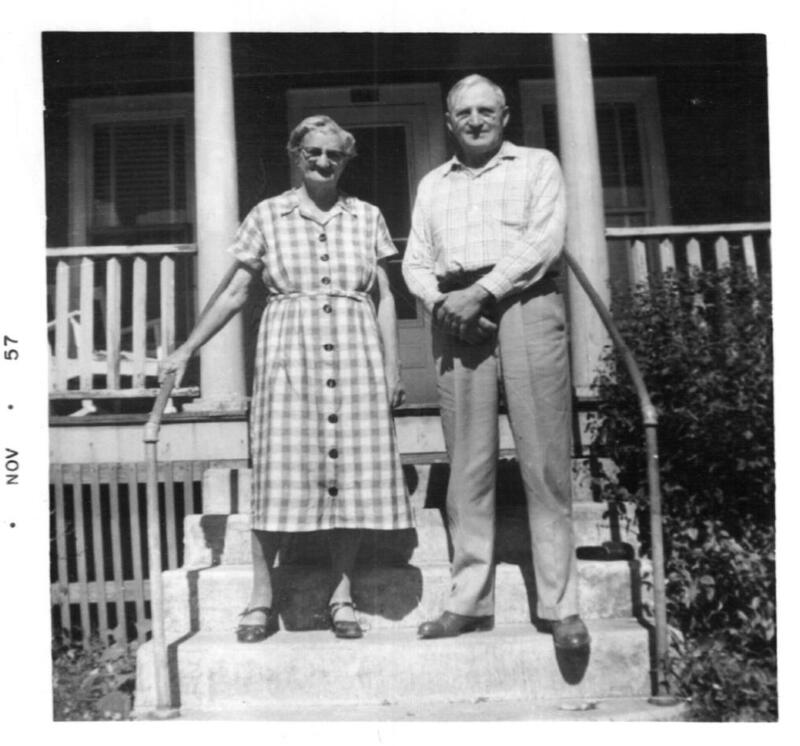 Davis, Daisy, wife, age 34, born in Iowa; father: Hinshaw, Alpheus (age 65, born in Iowa); mother: Whisler, Frances (age unspecified, born in Iowa); parents married in Iowa; church: Friends. Davis, Virgil, son, age 10, born in Iowa; father: Davis, Justin (age 34, born in Iowa); mother: Hinshaw, Daisy (age 34, born in Iowa); parents married in Iowa; church: Friends. Davis, Kenneth, son, age 6, born in Iowa; father: Davis, Justin (age 34, born in Iowa); mother: Hinshaw, Daisy (age 34, born in Iowa); parents married in Iowa; church: Friends. 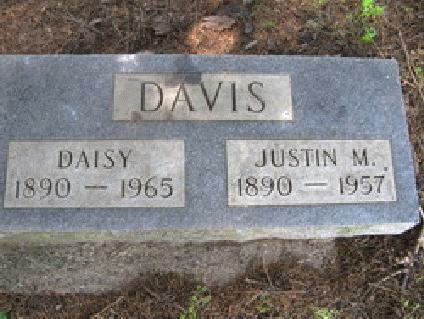 Davis, Lloyd, son, age 1, born in Iowa; father: Davis, Justin (age 34, born in Iowa); mother: Hinshaw, Daisy (age 34, born in Iowa); parents married in Iowa; church: Friends. 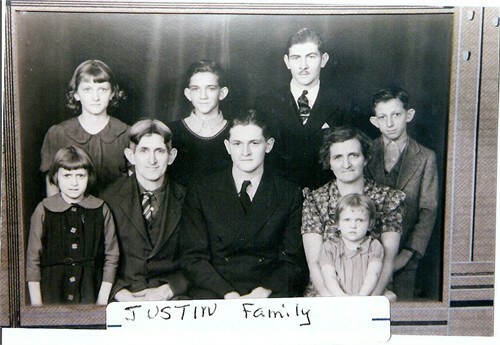 Davis, Justin, head-of-household, age 39, born in Iowa; parents born in United States; first married at age 26; owned home; no radio in home; occupation: machinist's helper, railroad; not a veteran. Davis, Daisy, wife, age 39, born in Iowa; parents born in Iowa; first married at age 26. Davis, Virgil, son, age 15, born in Iowa; parents born in Iowa; attended school. Davis, Kenneth, son, age 11, born in Iowa; parents born in Iowa; attended school. Davis, Floyd, son, age 6, born in Iowa; parents born in Iowa; attended school. Davis, Mable, daughter, age 5, born in Iowa; parents born in Iowa. Davis, Richard, son, age 2 years 7 months, born in Iowa; parents born in Iowa. Davis, Nina, daughter, age 7 months, born in Iowa; parents born in Iowa. RootsWeb WorldConnect data from Christopher Edwards (). 1910 census, Bangar Township, Marshall County, Iowa; roll T624-413, ED 123, page 5B, line #83, dwelling #84, family #84. 1920 census, Providence Township, Hardin County, Iowa; roll T625-492, ED 194, page 3B, line #85, dwelling #42, family #44. 1930 census, Marshalltown, Marshall County, Iowa; roll T626-668, ED 28, page 4A, line #6, dwelling #69, family #77. Contribution from Chris Bowen () or (). 1925 Iowa state census, 3rd Ward, Marshalltown, Marshall County, Iowa; roll IA1925-1841. Contribution from Laurie Summerlin (). Ancestry Family Tree data "Clinton Taylor family tree" posted by "Taylor546".